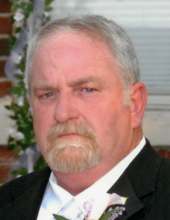 Ronnie Dail McGregor, 62, of Ridgecrest Drive, Danville, Va., passed away Sunday, October 21, 2018. He was born November 4, 1955, in Danville to Emma Farthing McGregor and the late Linwood McGregor. Ronnie is survived by his wife, Lou Hudson McGregor. He enjoyed restoration of antique cars, particularly Chevrolet Camaros. Ronnie owned and operated K&R Camaro & Chevelle Parts. In addition to his wife and mother, he is survived by his daughter, Krystal McGregor Powell and husband, Brandon; his son, Ronnie Dail McGregor, Jr.; his sister, JoAnn Clark; his brothers, Alan, Wayne, and Lynn McGregor; and his grandson, Brody McGregor Powell. Funeral services will be held at 2 p.m. Thursday, October 25, 2018 at Norris Mt. Hermon Chapel with Rev. Bobby Thurman officiating. Interment will follow at Floral Hills Memory Gardens. The family will receive friends from 7 p.m. to 8:30 p.m. Wednesday evening, October 24, 2018, at Norris Mt. Hermon Chapel, and at other times at the residence. Norris Funeral Services, Inc. & Crematory, Mt. Hermon Chapel, 3995 Franklin Tpke., Danville, Va. is respectfully serving the McGregor family. Online condolences may be made at www.norrisfuneral.com. To send flowers or a remembrance gift to the family of Ronnie Dail McGregor, please visit our Tribute Store. "Email Address" would like to share the life celebration of Ronnie Dail McGregor. Click on the "link" to go to share a favorite memory or leave a condolence message for the family.